Springtime in the Box-Ironbark Bush. September has been characterised by the lack of sunny days and very cool night temperatures, consequently a lot of plant and insect life has been slow to respond to the new season. However, as always, subjects of interest for the camera present themselves to the seeking eye. Towards the end of the month the white caladenias, C. catenata came out in force, and the first waxlips, Glossodia major made an appearance. 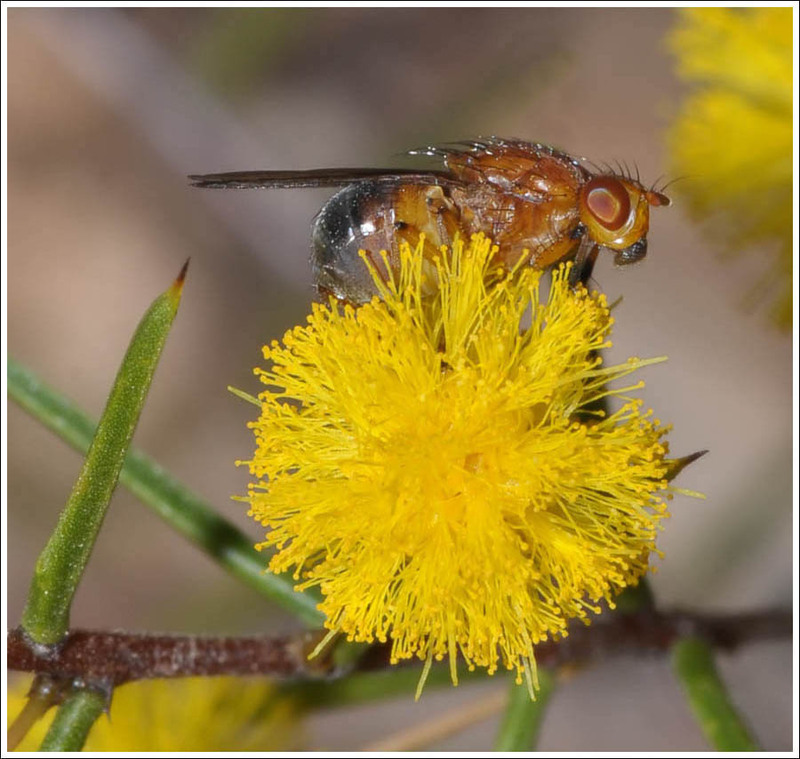 The Gold Dust Wattle, Acacia acinacaea had a heavy flowering, as did the Heath Wattle, A. brownii, and a feature of both were the flower flies, family Lauxaniidae, probably significant pollinators. 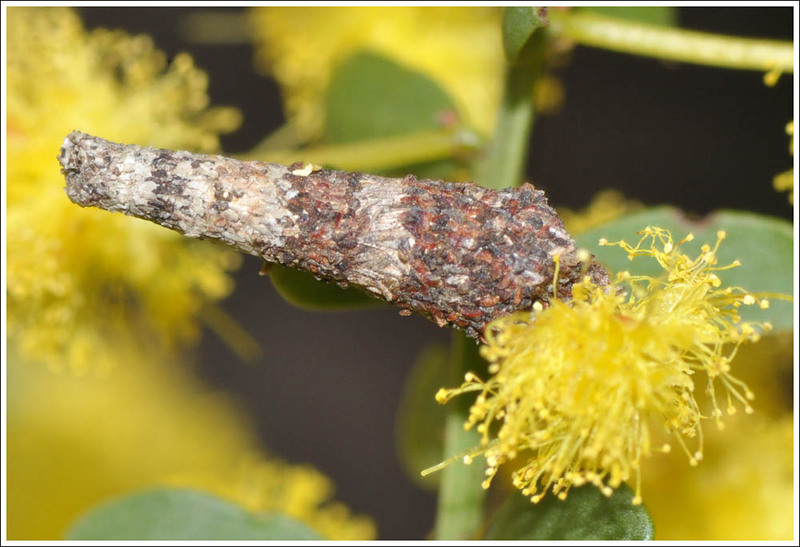 Also enjoying the wattle blossom were feeding case moth larvae, family Psychidae. 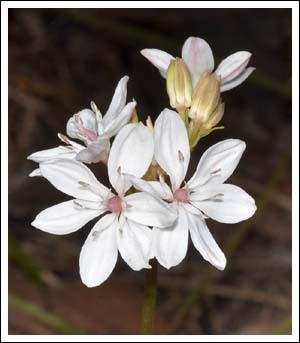 Chocolate Lilies are still in bud, but Milkmaids, Burchardia umbellata are starting to show. 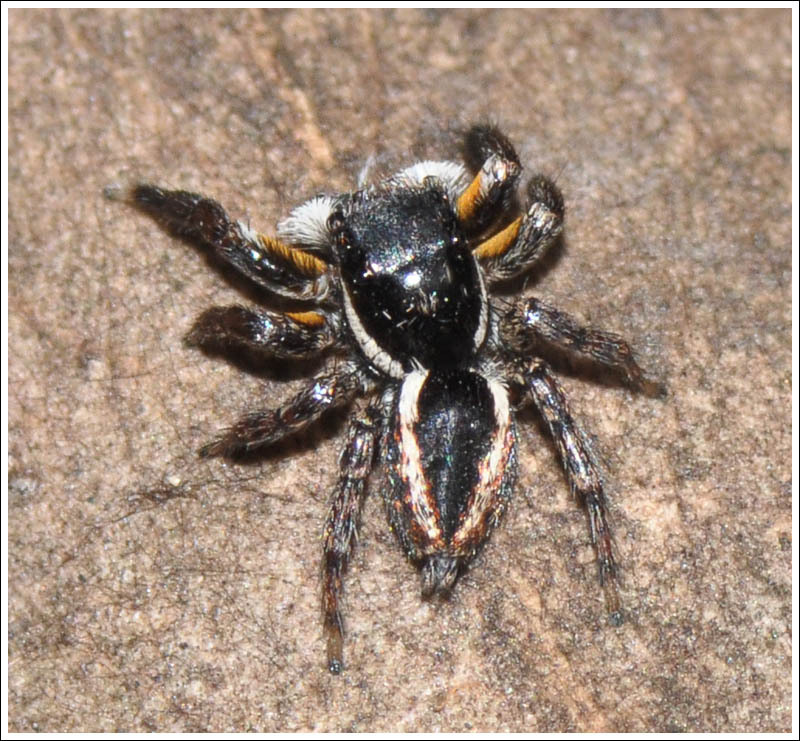 A sharp eye scanning the twigs and leaf litter may see tiny jumping spiders, family Salticidae. Sometimes only 3 mm long, their small size belies their interesting and sometimes quite striking appearance when seen in close up. 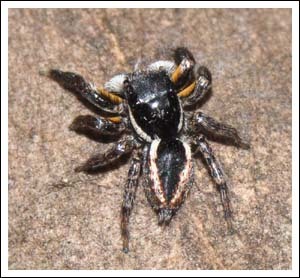 This is Jotus auripes. 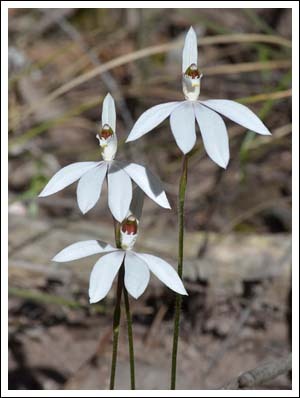 There is invariably something new to see, eg. 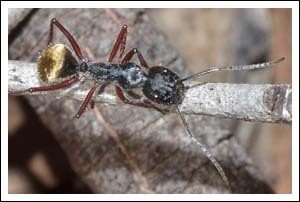 this ant, Polyrachis species. 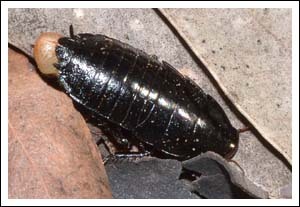 Also on the forest floor, a native cockroach with egg case. 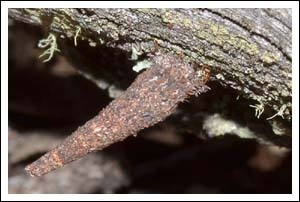 Some casemoth larvae are lichen feeders and can be found on shady surfaces. 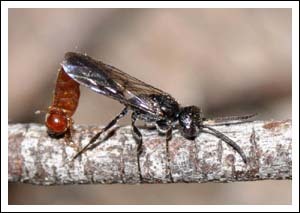 In the insect world, sometimes the female may be wingless, as in this mating wasp pair. 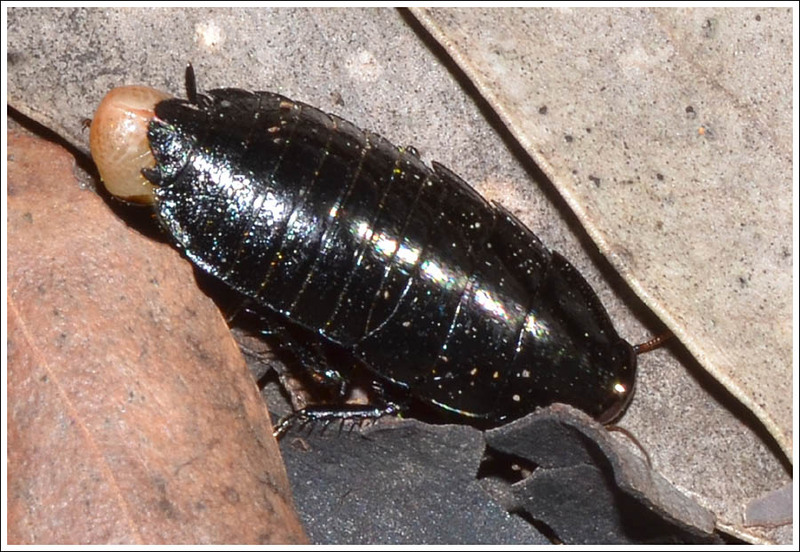 Shortly after the photograph was taken she dropped to the leaf litter and disappeared to lay her eggs. 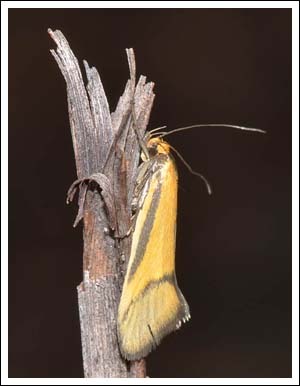 As the weather warms moth activity increases, this small Oecophorid, Philobota arabella flew when disturbed. The larvae help to recycle leaf litter, feeding on dry eucalypt leaves. Insects of South-eastern Australia by Roger Farrow. 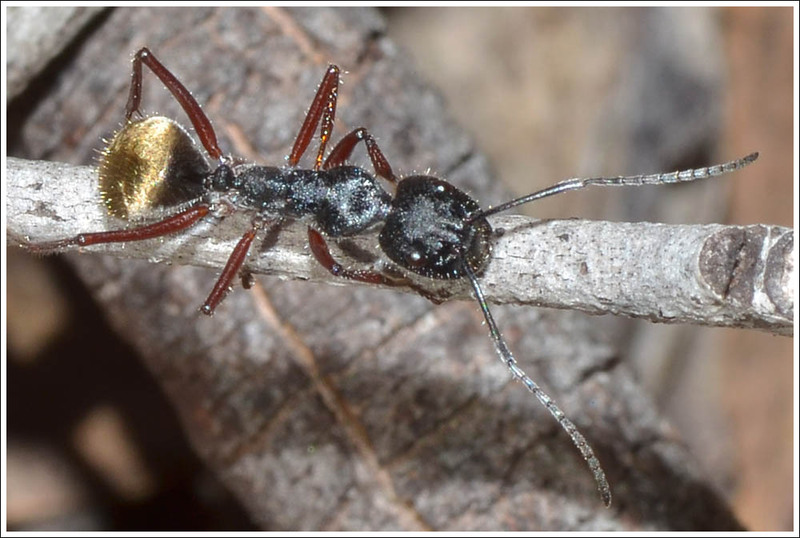 Posted on September 30, 2016 by TricarpaPosted in General Nature. 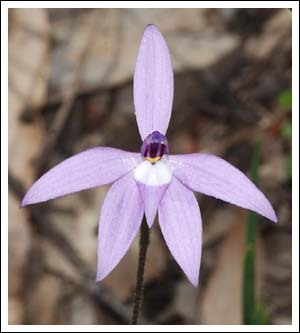 A photo blog featuring the Natural World of Gippsland. Photographing the natural world in Gippsland, flora and fauna, with a special interest in invertebrate life.